Making raw yogurt is one of the best things you can do for your health, as well as the health of your family. Raw milk of any kind has many benefits, primarily related to it being easier to digest than processed milk, and raw milk yogurt retains many of these benefits. 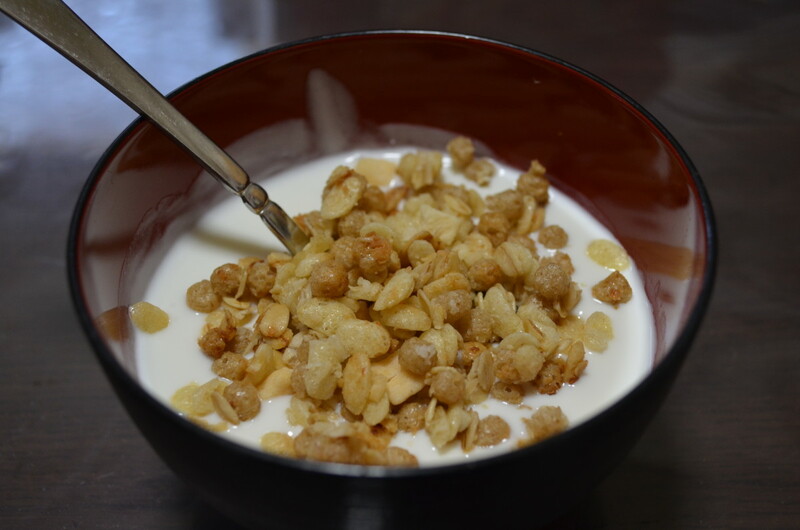 Eating yogurt daily has been linked to longevity and a high quality of life and health. These benefits are easy to get by making your own raw milk yogurt. I will be demonstrating the process with goats milk, but any kind of raw milk should work. Yogurt starter, or a good quality, plain yogurt with live cultures - you can buy some from almost any grocery store to get started. Once you've made yogurt, you can save back a little from each batch to use as the starter for the next. A thermometer which will read low temperatures accurately. An instant-read thermometer is nice. A heat source which will maintain your yogurt at 110* to 115* F. for several hours (unattended). Use whatever container(s) you plan to keep your yogurt in to measure how much milk you need. I usually make half a gallon (2 quarts) at a time. Pour the milk into a pot and warm it to 110*...no more than 115* F. Higher temperatures will kill good bacteria and cook the milk. Measure out about 1 tablespoon of yogurt per quart of milk, and pour into the bottom of your container. Pour the warm milk in on top of the yogurt culture, making sure the culture gets mixed in thoroughly. 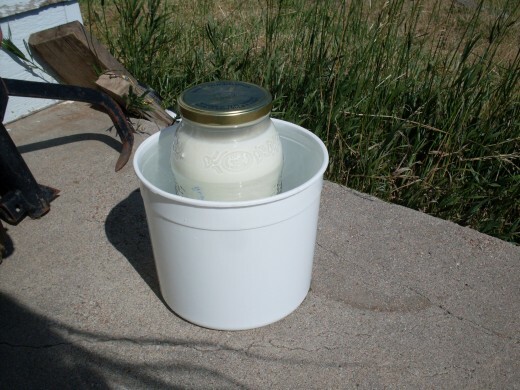 Because I use a big jar on which the lid does not fit very tight, and I cannot lay it down in a cooler, I rely on hot water, hot cement, and full, summer sun. Keep the yogurt at 100* F. or more for it to culture correctly. 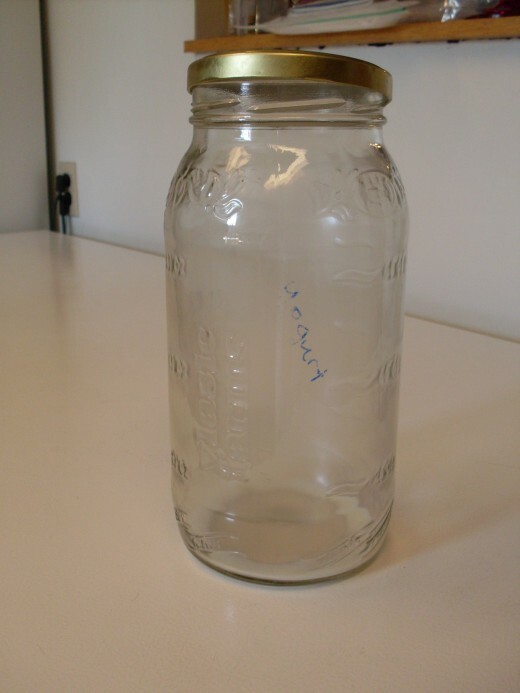 In winter, I use smaller jars, and either a cooler with hot water in the bottom, or a rack on my wood cookstove. 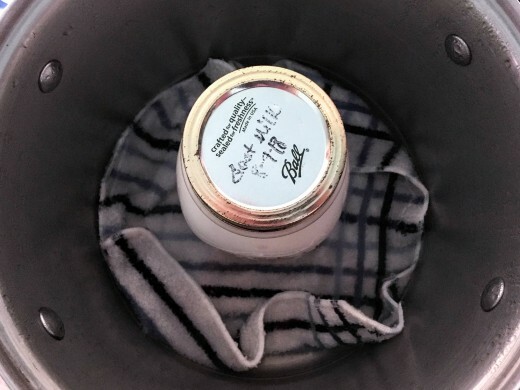 Wrapping the jar(s) in a towel and setting them in a warm place should also work. A very low-heat oven is fine, too. 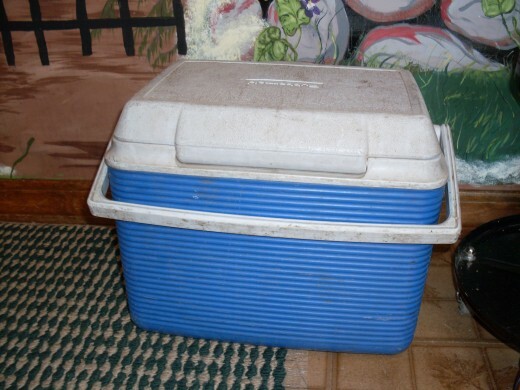 Adding hot water to the bottom of a cooler usually maintains temperature long enough. 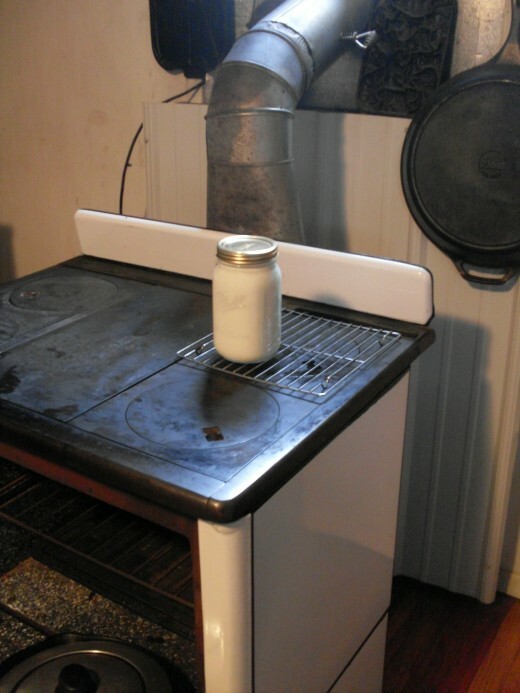 It is usually easy to keep a jar or two of yogurt at the right temperature by setting it on a rack on the "just-warm" side of a wood burning stove. The jar can sit close to the stove, but must not touch it. 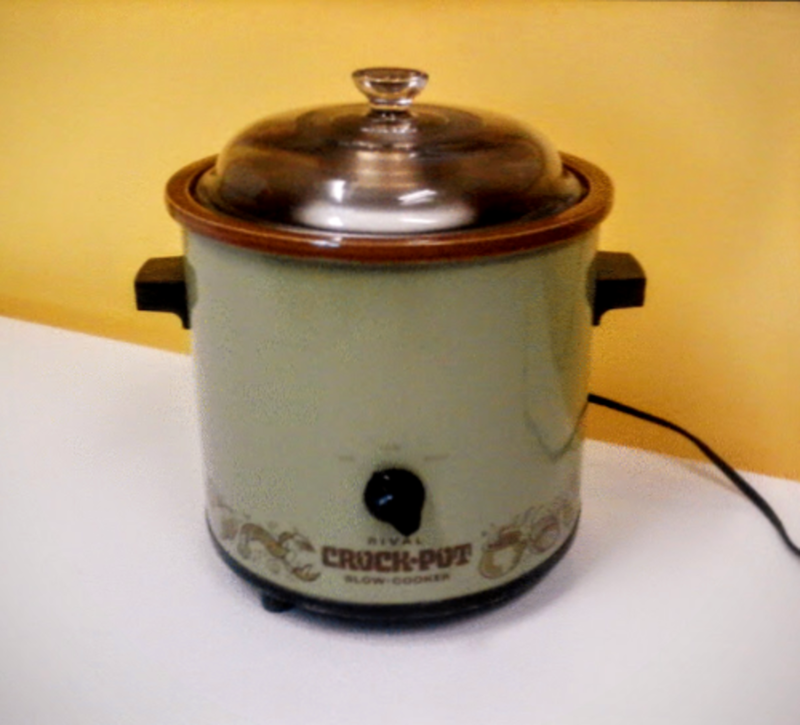 A crock pot on low setting can be used. Put a cloth in the bottom to cushion the jar. Be sure the lid will still fit snugly! This quart jar barely fits. A two-gallon stock pot with a cloth in the bottom works well, if set over very low heat. I help regulate temperature, when necessary, by using a regular lid which is the same diameter, but will not lock down. 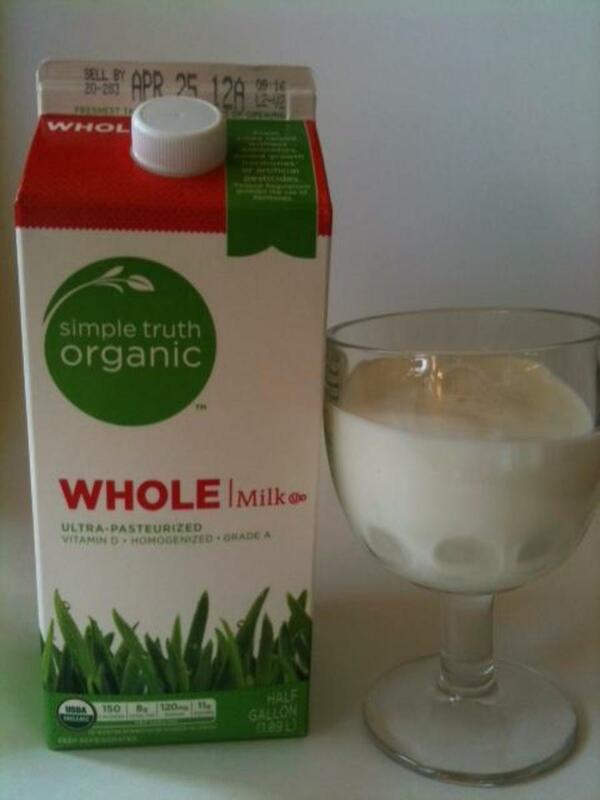 What If I Don't Have Raw Milk? It is still possible to make perfectly acceptable yogurt with most any kind of milk. I've even heard of people using soy milk, though I wouldn't try it myself. Regular milk from a store will work fine, it just won't be raw. The yogurt will still be good for you. 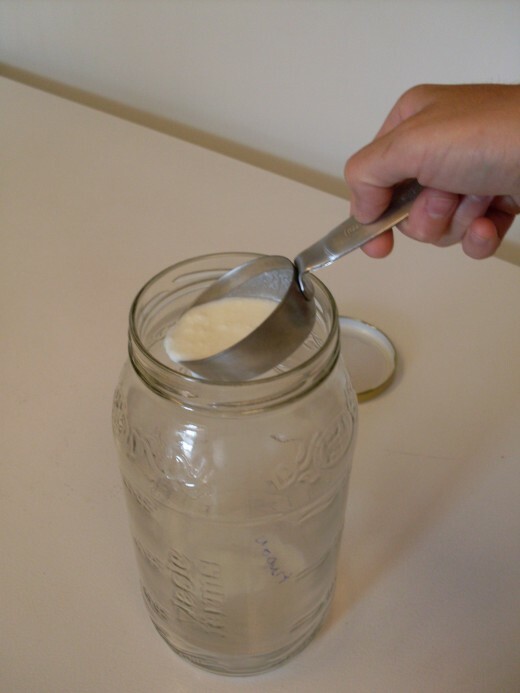 The video below shows how to make yogurt using non-raw milk. Also, you may use this woman's method for any batch of raw milk which is "off" or which you're not sure of for any reason. The difference between her method and mine is in the initial heating temperature - she scalds her milk in order to make sure that no undesirable bacteria survive...giving the yogurt culture absolute reign, with no competition from other types of cultures which may have been present in the milk. This is a good method...but be aware that it's no longer raw. At which stage should I add fruit to my yogurt? Honestly, it doesn't much matter. I suppose the acid or bacterial aspects of various fruits could upset the culture or balance of your yogurt, but many don't. This means you can add fruit to the bottom of your jar(s) before adding the culture and milk, or you may mix it in after the yogurt is cultured, just prior to eating. My yogurt is stringy and slimy! What happened? The temperature of your yogurt while incubating was not steady enough. Too cold or too hot can upset the delicate balance of the culture, and ruin the consistency of your yogurt. If you can't stand the consistency of a particular batch, don't despair - just feed it to your pet. Your dog or cat will almost certainly not complain, and yogurt is good for them, too. My yogurt didn't thicken up...it's all runny? Why? The cultures in yogurt need lots of room to work. 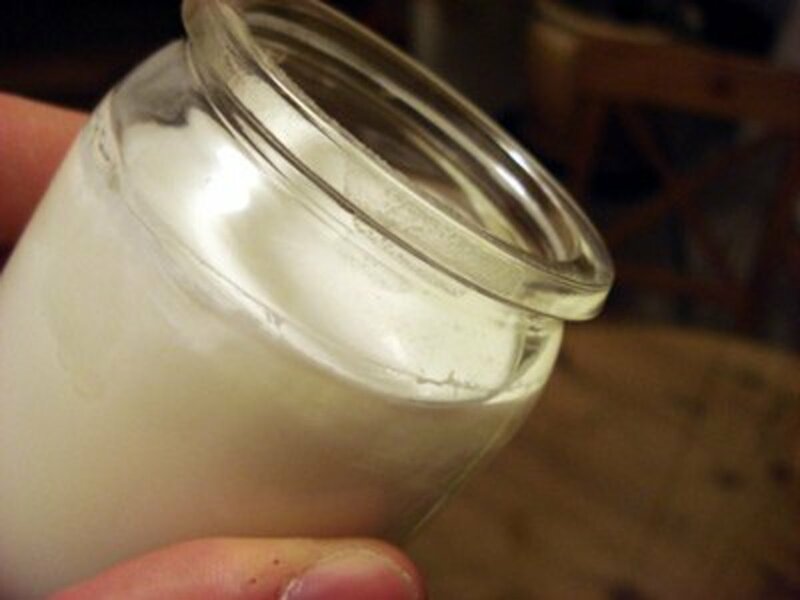 Adding too much yogurt starter to a jar of milk can crowd the cultures and cause them to languish. Adding too little culture might delay thickening, but will not harm the final product. My yogurt is too sour. How can I make milder yogurt? Incubating yogurt for more than 6 to 8 hours can cause the cultures to overwork, creating a more sour or tart yogurt. Do not incubate yogurt for less than 6 hours, but experiment with how much longer makes the perfect jar of yogurt for you. How often do I need to use my yogurt starter to keep it fresh? Using your starter about once a week is best. I've stretched the time to two or three weeks occasionally, but this can allow the starter to develop undesirable bacteria, which will change the nature of your yogurt, or maybe, not even produce yogurt at all. Unless your starter goes really bad, you should be able to use it to produce some kind of cultured dairy product...it just may not be quite like yogurt. If your starter gets contaminated, start over with a fresh commercial starter or fresh commercial yogurt. 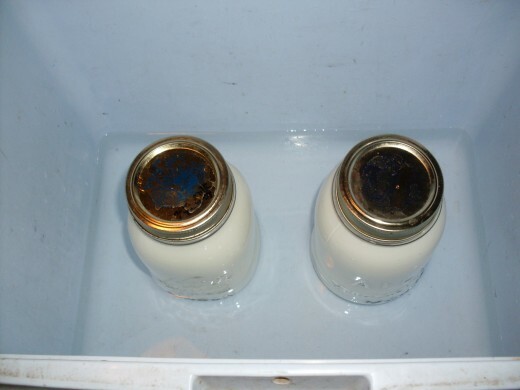 Keep your yogurt starter in the refrigerator between uses. 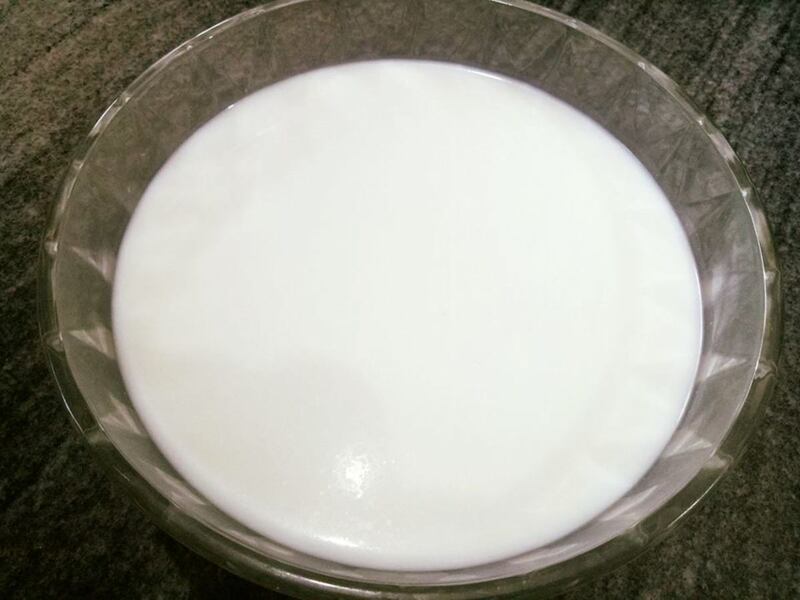 Can I use cow's yogurt as my culture while making yogurt with raw goat milk? You sure can! I have had no problems doing that from time to time. What are the amounts of each ingredient necessary for this raw goats milk yogurt? 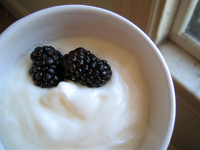 You need one tablespoon of plain yogurt, with active (live) cultures, per quart of milk. Keep the temperature at about 110 F. for proper development, keep it for over 6+ hours. Grannyjoy, this sounds like a great method. Thanks for sharing. As I'm sure you know, the method isn't crucial, so long as your product turns out how you like it, and performs how you need it to. It is great that you make it raw, so you can get all the good out of it! I sometimes have problems with other bacteria or yeasts getting in my yogurt from the air, which forces me to start over with a fresh batch. Since I pickle and ferment all kinds of fruits and vegetables, and also bake breads and other goods on a regular basis, there are bound to be lots of other organisms thriving in my home. This is natural. If you don't have these problems, I'm happy for you! 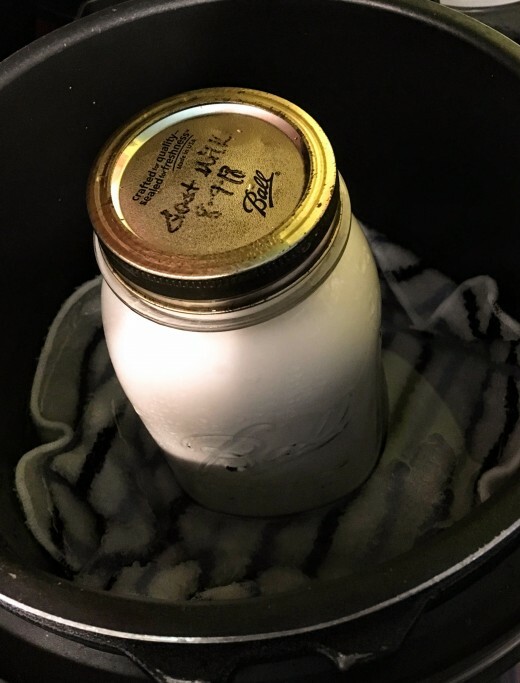 I have learned that if I make a batch that is "off" - but not rotten or anything - I have either fed it to our pets (who usually like it), or have kept it in a jar in the fridge, covered in a layer of whey, until it develops enough. Sometimes it takes months, but eventually it always turns into something usable - especially if it's just a runny texture or something, from developing at an uneven temperature. 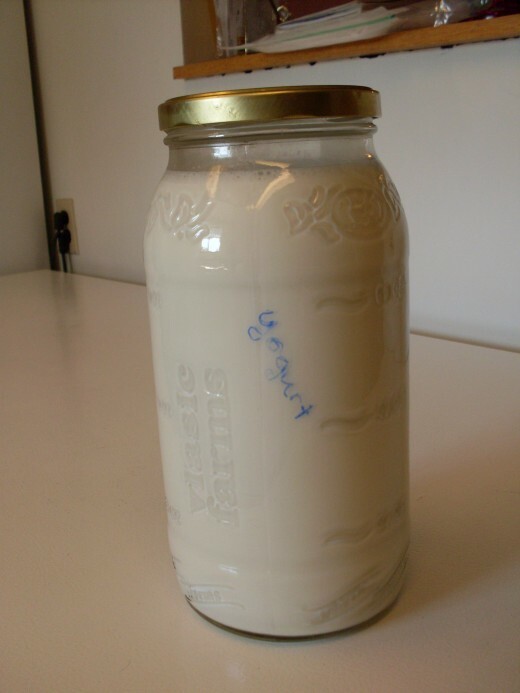 I have been making truly raw goat yogurt. I use my Bosch oven on dehydrate at 115°. 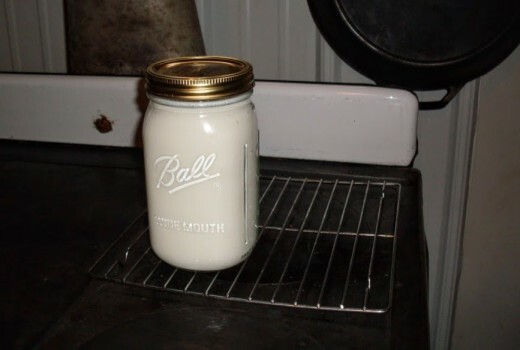 I start with about 2 Tbs of the prior batch, a little powdered starter and fresh raw milk in a half gallon glass jar. I mix well, put the lid on slightly, then put on the top 1/3 of my oven. I leave for 10-12 hours and it turns out great. I don't like yogurt or milk, so I cannot really testify to taste, just texture, which is good. My husband and daughter love it. I would just like to hear from an expert if I am doing it correctly. I believe they would tell me they love it and eat it just because I made it. Ha Ha I even used the same jar without cleaning it out as I am the only one who gets it out. It turned out great too. I wish I liked it, but I want to keep them healthy. Thank you very much. 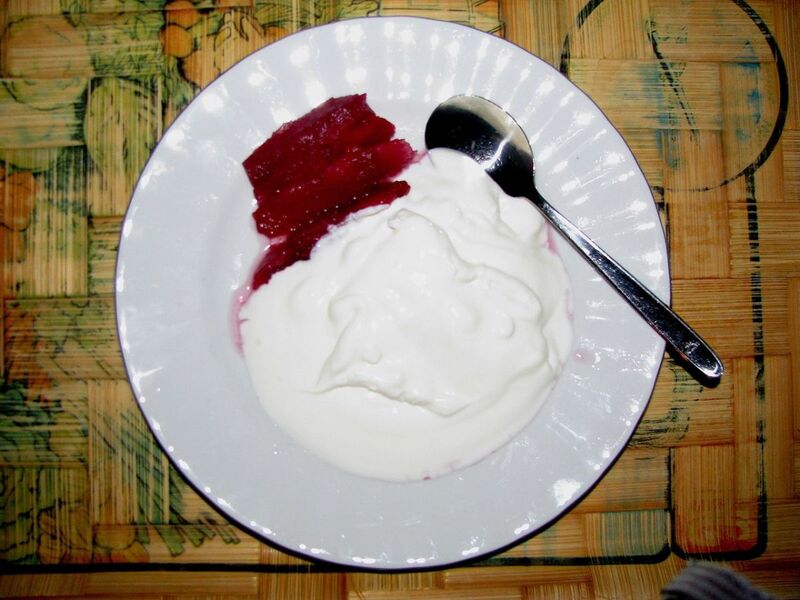 Marija, yogurt without powdered milk or other thickeners added tends to be pretty runny. A too-low incubating temperature can result in gooey, stringy yogurt...still edible (not rotten), but not pleasant. If yours turns out like this, you can still cook with it, using it as the liquid in breads, etc. A too-high incubating temperature can result in yogurt that doesn't thicken at all, since the culture has been killed. Yogurt that is just right should smell pleasantly tart, never musty or just plain sour - although, the longer it incubates, the more sour it will be. 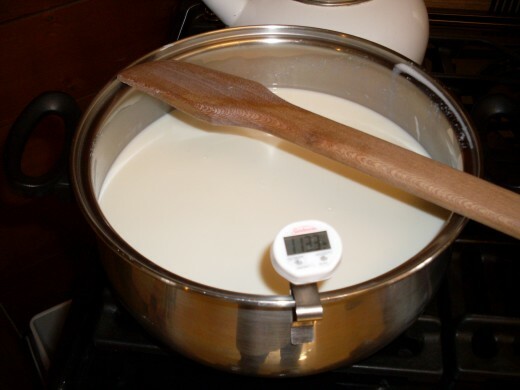 8-12 hours usually results in good yogurt, when you are using an incubating method besides a yogurt maker. Also, ideal yogurt will thicken some...but will probably not be stiff like commercial yogurt. 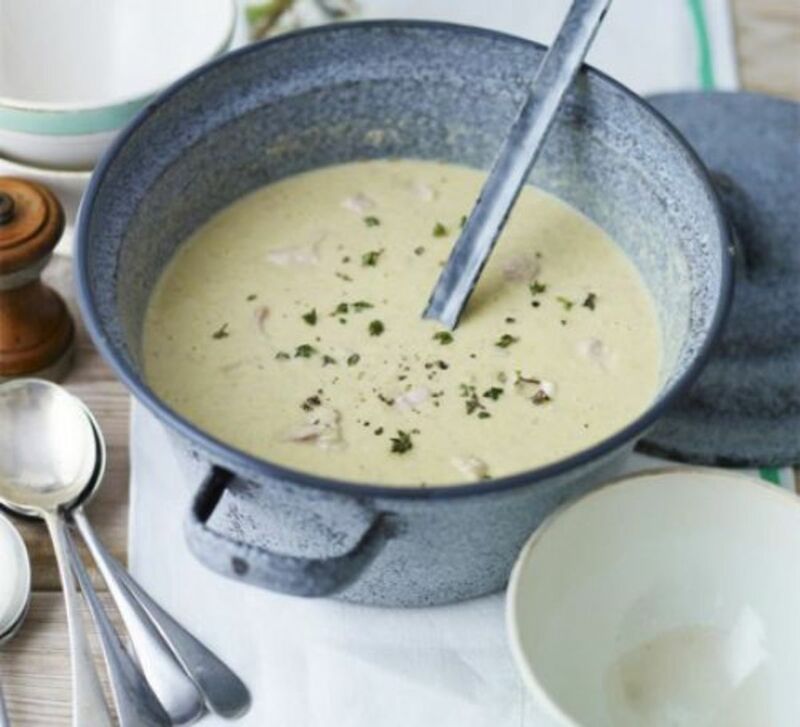 It will pour out in small, tender chunks (not curds), yet be creamy. Could you give more specifics on how you know it is done or hasn't gone bad? Also, can you give more specifics on the consistency of your yogurt? Does your raw goats milk yogurt thicken at all? Or is it pretty watery? Renee, enjoy your yogurt journey! Depending on your milk, conditions, feeding practices, and other things, yogurt sometimes works out perfect, and sometimes not...but if you have a flop, just use it in bread or something. :-) Of course, if you know cheese, you know what this is like. 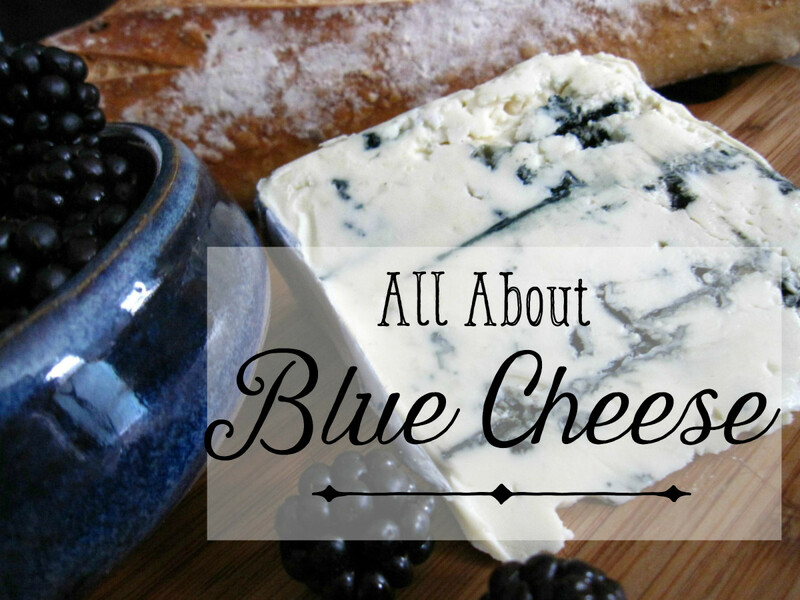 What kinds of cheese do you make? 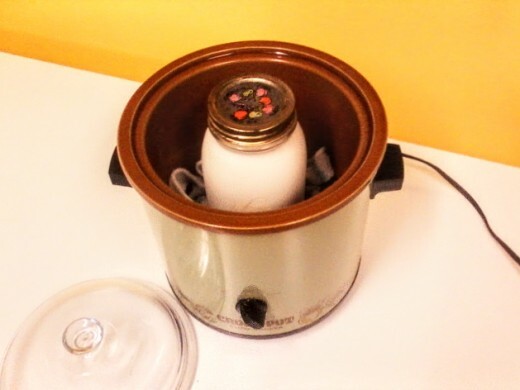 I don't have this shown in the article, but two other good warming methods include putting your cultured milk in a thermos, or putting a jarful in a warm stockpot of water. I have a milk goat and I make my own cheese. 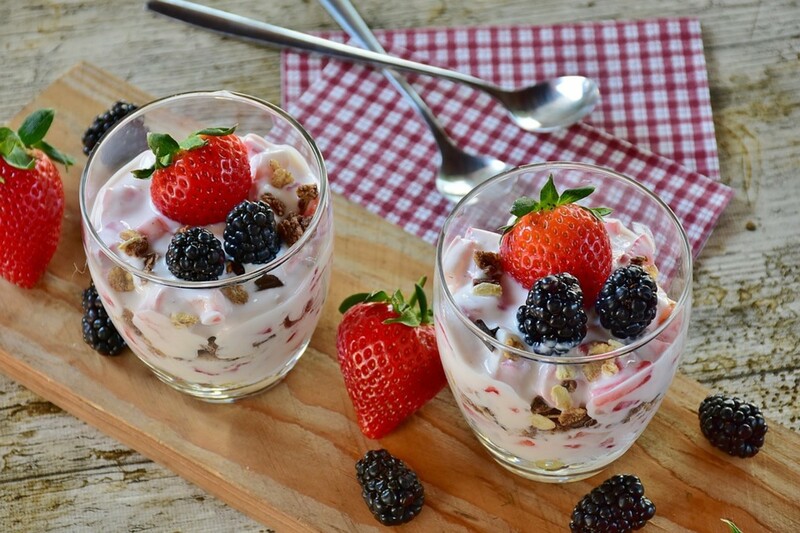 It would be awesome to make my own yogurt too! I will have to try this! Great hub! I hope your friend Ella and you have a good time learning all things goat! I don't know where you live, but you may want to check out the dairy laws in your State or region, and decided how you need to run your business legally. Of course, you can always just "gift" your milk and other goat products to friends you trust, and they can "gift" you back with the payment - like bartering. That's up to you. Just run a clean dairy. :) People love small samples of your products. Above all, don't be afraid to experiment...so long as you sell only the products you perfect! Great and detail article about yogurt. Pour the warm yogurt/milk mixture into a stainless thermos. Screw the lid on. Set timer for six hours. Presto! Comes out perfect every time. Can buy a nice thermos at WalMart for about $12.00. It doesn't get any easier than this. Ladylux, that's fantastic! I'm so glad this helped. I may add some to this article, as I've had some interesting failures lately, in spite of my experience. I'm still not sure how this happened, but my starter got contaminated somehow, and I managed to make a wonderful cottage cheese, instead of yogurt. 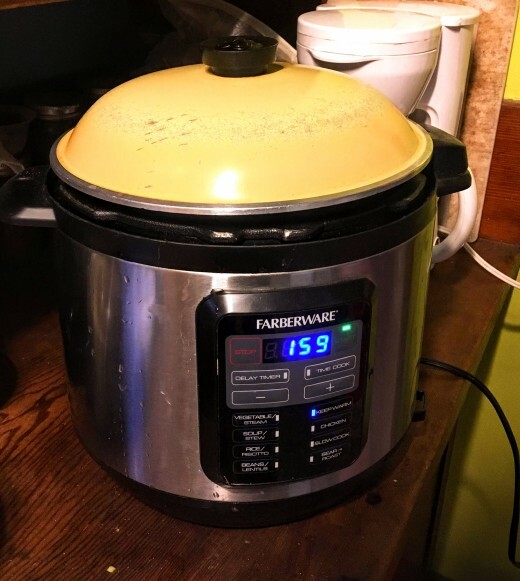 It was superior to any cottage cheese I've made before, so I'm thinking of tinkering around with the process, and writing up how to do it on purpose, in another hub. I'm also experimenting with using dried yogurt (which I dried myself) as a starter, but haven't got that all figured out yet. You'll see the results here or in another hub, when I get the process streamlined. I figure, with dried yogurt, there's no reason to worry over a starter going bad or getting "off". Thanks! My goat yogurt making skills have improved dramatically since following your instructions! Delaney, I what sorts of cheeses do you make? I have some more cheese recipes in the works. Will do! I specialize in French and Italian cuisine with an emphasis on grilling but every once and awhile it's nice to try something new. I've never got around to making my own yogurt (though I do make my own creme fraiche and some cheeses) but I figure I use it in cooking enough to have some fresh around. Come by and visit my Chef Delaney Boling facebook page if you ever want to talk food! Looking forward to seeing more hubs by you. Delaney, I'm pleased to meet you. Let me know how your yogurt turns out. Very informative and easy to follow. I think I might have to try making some yogurt before too long... Thanks! Very nice and useful. Thanks for sharing. I joined hub pages recently and invite you to visit my hubs. DeeBee, I'm so glad to be of service. Happy yogurt making, and a very Merry Christmas to you! I used to live in Turkey and make my own yougurt on a regular basis,since coming back to the U.K I had forgotten how to make it, and have been looking for a recipe for ages. Thanks Joy At Home for this great hub.